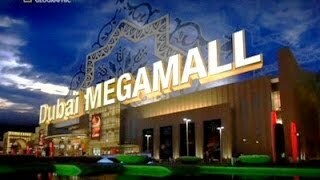 DUBAI MEGA SHOPPING MALL IS SIMPLY.. "EVERYTHING YOU DESIRE"
"Like Nothing You Have Ever Seen!" The World's Largest and most Luxurious Shopping Centre on Earth! DUBAI // A massive new development unveiled yesterday by the Ruler of Dubai is to include the world's biggest shopping mall and more than 100 hotels. Uploaded by: DubaiDreamLifestyle Video Description: DUBAI MEGA SHOPPING MALL IS SIMPLY.. "EVERYTHING YOU DESIRE" "Like Nothing You Have Ever Seen!"